When it comes to making your place in the list of top airports in the world, the reviews do play a very important role. Talking about the Chubu Centrair Nagoya International Airport, the airport well deserves a spot in the top airports and is counted as the first class airport of Japan. Chubu Centrair International Airport is an airport on an artificial island in Ise Bay, Tokoname City in Aichi Prefecture which is 35 km south of Nagoya in central Japan. The airport is the main international gateway for Chubu region of Japan. It serves a large number of domestic passengers and a number of regional routes operated to Asian cities such as Bangkok and Singapore. You can enjoy the comfort at the airport by using the facilities of the massage chairs that are located in the domestic and international boarding waiting areas. At Chubu Centrair Airport, you can also find the boat ticket sales counter and buy boat race betting tickets there. The airport is the first to add this facility for the travelers which let them enjoy the boat races of Japan, the Tokoname Boat Race, etc. If you are worried about the parking, then no need to worry as the parking lot over here will directly connects you to the Terminal Building of Central Japan International Airport. And the parking is open 24 hours a day and you can enter or exit the parking lot even in the early morning or late at night. You can also witness the reception counters for many rental car companies which let you hire a car at rent as you arrive at the airport. The main feature of this airport is that the Passenger Terminal Building, the Access Plaza and the parking lots are non-smoking areas. Hence you are not allowed to smoke there; rather you should one of the nearest smoking rooms at the airport. This airport also comes with the changing room facilities. If you need to change your clothes, you can use one of them and these can be locked too. The Chubu Centrair Nagoya International Airport is one of the top airports of the world. At the Chubu Centrair Nagoya International Airport, you will find the main terminal reflecting the shape of the English alphabet “T”, which consists of three piers radiating from a central ticketing area. The effective design of the airport makes the check-in distance below 300 m or 980 ft. There is a single terminal in the airport, the northern side of which regulates the domestic flights and the southern part holds the international flights. Each side of the terminal is equipped with the ticket counters, security checkpoints, and baggage carousels. You can also find the immigration and customs facilities at the international flight side. The arrivals of the different flights are controlled or managed at the second floor whereas the departures of the flights are settled on the third floor. The lower level is used for the other operations like maintenance, catering, and the ground functions. It is also used for passenger buses to hardstands in the middle of the airport ramp. There are thirteen gates in total for domestic flights which include the three bus gates. On the other side, the international flight’s area includes the fourteen gates which involve the three bus gates too. The Sakura Lounge is one of the largest lounges at the airport. All you need to do is to turn right after passing through Immigration and then head in the direction of Center Pier. You will get the lounge on your right. If you pick the Star Alliance Lounge, then you will get the glimpse of the rich variety of drinks, Internet access and other amenities like that. The lounge is fully equipped with the glass-paneled walls which in turn provide a beautiful view of the ocean to the various travelers resting here. Only the First-class and business-class travelers on international flights or the one who own the Star Alliance Gold membership can use this lounge. Travelers who choose KAL lounge can avail the facilities like connecting to the Internet, the self-serve bar feature that offers beer and other alcoholic beverages along with coffee and other soft drinks. Sandwiches and other snacks are also available as part of the top-quality service. You can witness the seven business desks which are fully equipped with wired LAN connections as well as a smoking room with seven seats at this lounge. The Centrair Airline Lounge is available to travelers who have already passed through the domestic security checkpoint. Nursing Rooms: The nursing rooms are located almost adjacent to all general restrooms. Along with that, the facilities like diaper changing station, a nursing chair, and a washstand is also available. Restrooms: You can easily get the child toilets and baby seats which are available in the general restrooms. Rental Baby Strollers: You can easily avail the baby strollers for rent at the third floor of the Departures Lobby and at the Information Counter of the Access Plaza. Play Areas: The children’s play areas can be found within the boarding waiting areas both at domestic and international flights which you can avail after passing through the security checkpoint. You can connect to the free Wi-Fi connection at the Central Japan International Airport. Any traveler can get accessed to the Wi-Fi at the airport who has a Wi-Fi-enabled device like a laptop or a smartphone. You can very easily find the computer facilities in both the international and domestic departures restricted areas. Passengers who have their own computers can plug into the wired LAN ports and connect to the Internet. At the airport, it becomes very easy to rent a cell phone if you don’t have the mobile service at your travel destination. You will find a number of elegant hotels at the Chubu Centrair Airport which can render appropriate services to you at different rates. You will find airport hotels like Centrair Hotel, Comfort Hotel Central Japan International Airport, Toyoko Inn, TUBE sq which is a Capsule Hotel, etc. If you are looking for the domestic and overseas traveler’s insurance plans, then the counter located on the third floor of the Departures Lobby at the airport will offer you valuable deals according to that. The facility of automated contract machines to purchase insurance is also available at the airport. You can enjoy the Tax-free Shopping at Centrair Airport. All the items are exempted from tax for international tourists; it includes the consumable goods like food, cosmetics or beverages also. Reviews play a very important role when it comes to build the image or reputation of an airport. Jeremy Chan: I have never expected that a small-scale airport can be able to provide outstanding and extensive services to travelers. The airport was very clean and tidy, and everything in the terminal was well organized. Incredibly, a large number of facilities including an observation public bath were there. A wide choice of restaurants was available and the prices were reasonable. Convenient access to the city center. The airport gave us a great impression upon our first visit to Nagoya. S Hedden: I used Nagoya as a transit airport between Indonesia and USA. Quick arrival procedures. Everything was well signed in Japanese and English. Transfer desk was unmanned but I bypassed as I already had a boarding pass for connecting flight. Security was fast and polite. The terminal was clean and orderly. My flight was delayed by 10 hours. The terminal has high ceilings and big windows looking out over ramp providing an open feeling. Clean restrooms. Only 1 restaurant which only takes Japanese Yen and a Starbucks but there are several money exchange booths. Lots of duty-free and high-end shops. Free Internet throughout the airport. Airport reviews play a very important role in uplifting the reputation of a specific airport. On the other side, bad reviews also have an adverse impact on the image of the same. But this thing proves helpful for the officials to do necessary changes as per the complaints of the passengers and also provides a medium to the other travelers to take necessary steps regarding their traveling experience. Taking about the Zurich Airport, it is also known as Kloten Airport which is the largest airport in Switzerland with its main hub at Swiss International Air Lines. The airport is located in around 13 kilometers; north of Central Zurich. 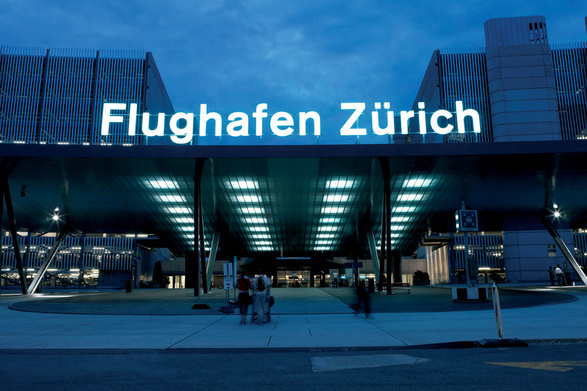 The airport is owned by Flughafen Zürich AG; a company quoted on the SIX Swiss Exchange. Zurich Airport is counted in the list of top airports of the world. When it comes to discussing the services which you can avail at Zurich Airport (Switzerland); then probably the following points will throw some light regarding that. You can easily avail an extensive range of services, from general information about the airport to the rental of bikes & inline skates here. The different terminals of the airport are linked to the central air-side building which is known as Airside Center, totally supports numerous medical centers, a conference center, shops, restaurants, offices, and hotels. You can also find a supervised Left Luggage counter which provides its services next to the Service Center in car park 2. And the facility of 24/7 lockers is also available. There is also the availability of pickup and porter services via Customer Ground Service from any location at the airport and this is subjected to a fee. This involves individual or group care along with the service for bulky items. At Zurich Airport, you can also get the glance of a new model of baggage cart which is light, stable and makes a little noise. A plastic coating gives the handles a comfortable feel and these are also dirt-resistant and hygienic; the facility is totally free of charge to the passengers at the Airport. Here you can also enjoy the Wi-Fi internet access for about two hours which is available throughout Zurich Airport. At Zurich Airport, you will find three airside piers which are known as terminals A, B, and E and are also signposted as Gates A, B/D and E. These terminals are in turn linked to a central air-side building i.e. Airside Center which was built in 2003. All passengers access the same departure level of the Airside Center which includes duty-free shopping and various bars and restaurants. The terminal A contains gates prefixed A. Being opened in the year 1971; the terminal is used exclusively by the flights to and from destinations inside the Schengen Area. It also includes the several domestic flights within Switzerland. After its expansion in 1982 to 1985, it takes the form of a finger pier which is directly in connection with the one end to the Airside Centre. The terminal B contains gates prefixed B and D. It was re-opened in November 2011, after the process of re-building over a period of three years. 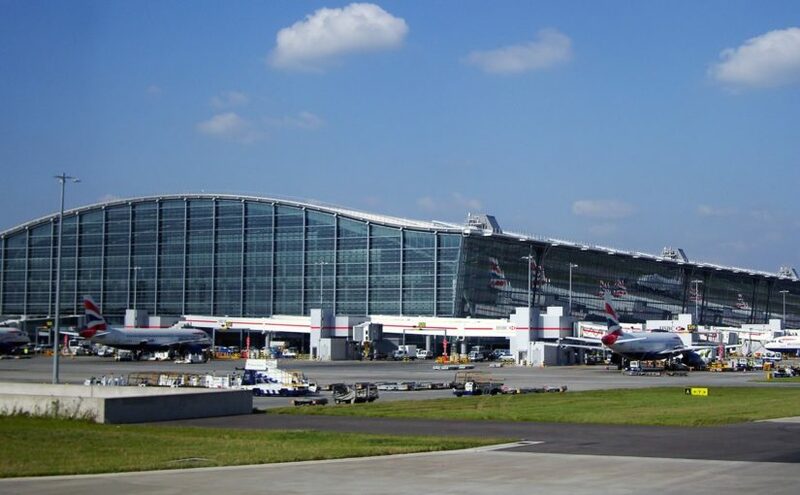 Same as terminal A; it also takes the form of a finger pier and is directly in connection with the one end to the Airside Centre. After the rebuilt process is over, it is designed to handle both Schengen and non-Schengen flights at the same gates. Each gate has been assigned with the two numbers, one prefixed B, and the other D in order to separate the flows of Schengen and non-Schengen passengers. The terminal E contains gates prefixed E and is also known by the names of midfield terminal or Dock E. This terminal is entirely used by non-Schengen international flights. Being opened in 2003, the terminal is connected to the Airside Center by the Skymetro which is an automated underground people mover. As you enter the airport, you will find a number of lounges which will offer you great services and optimum hospitality. Whether you require a comfortable office infrastructure or just need something to relax, you can avail everything while waiting for your connecting flight. Along with that, there is the availability of Smoking lounges too at the Zurich Airport. You can easily use the specially equipped and well-ventilated smoking rooms. You can find lounges like Dnata Skyview Lounge, Swiss International Airlines Lounge, Swiss Lounge D, and Aspire Lounge at the Zurich Airport. If you are traveling with the kids, then taking care of them while waiting for the flights is a great headache which can easily be resolved by the availability of the kid’s lounges at Zurich Airport. All you need to do is to sit back and relax while your kids let off some steam. The kids’ lounges at this Airport are bright and spacious playrooms with a lot of toys for kids of all ages. Here you find a well-trained team of child carers who can speak various languages and will provide best ever assistance. In case you have a baby with you, then you can use the baby changing facilities, care products and rooms for sleeping, free of charge at the airport. What’s better than to have a shower which let you freshen up after a long flight! Well, here at Zurich Airport, you can have the glimpse of shower facilities at various locations around the airport. Zurich Airport also offers various waiting and parking options for drivers by providing them the services of picking up or dropping off people at the airport too. The lower curbside level offers a convenient short-term parking option (P4) for picking up passengers directly in front of the arrival halls. You can also get the glance of prominent services of Animal Care team which ensures that your pets are transported safely and smoothly. Plus our experienced personnel will provide all the necessary care to your pets. There is a lost property office in arrivals hall 1 along with that the porter service is also available to assist passengers with their luggage, while trolleys can be used free of charge. You can also get the services of the left-luggage desk and lockers to stow baggage in arrivals. The airport reviews matters a lot in increasing its popularity. I am a frequent passenger at this airport from the last 10 years. The new security is excellent. Walking distances are more than ok. For me, this is the most convenient airport given its size and connections offered. I really would like to see some of these conveniences at other airports. The Swiss lounge is quite nice and the proximity to the airport shopping mall was very helpful as I had a few things to do while in transit. Boarding area E continues to strike me as cold and stark but the service and amenities at the airport are world class.